A website that remains unprotected is considered to be a security risk to customers, businesses, and government/public sites. Eventually, this will result in the spread and escalation of malware, including attacks on other websites and also against national targets and infrastructure. In most of these attacks, hackers make attempts to harness the combined power of thousands of computers and sites in order to successfully launch these attacks. The use of an efficient web security software thus becomes a growing necessity due to the ongoing increase in hacking activities. Hacking does not just deal with stealing data. Hackers aim at developing watering holes where they can hide malware in order to allow it to spread to visitors of that specific site. Hackers will also want to enlist those compromised sites in Distributed Denial of Service (DDS) attacks on other sites. Any site is capable of serving that function. Healthcare, financial services, and retail seem to be immensely popular when talking about data theft. With website security being the most essential concern for any organization, the selection of the most appropriate software or service agents also becomes equally important. Hacking attacks range from malware distributions, heavy adware activity, website hijacking, DdoS, and complete website shutdown. All these different attacks point out the growing need for security websites against the hindering attacks by installing efficient web security software like Comodo cWatch. cWatch, developed by comodo, is a SaaS-based Managed Security Service (MSS) apt for websites and applications and works in a cloud network. This web security software offers comprehensive security services capable of detecting and then removing malware. It employs a unique combination of security information and event management along a web application firewall to develop a secure content of delivery network capable of securing your website. 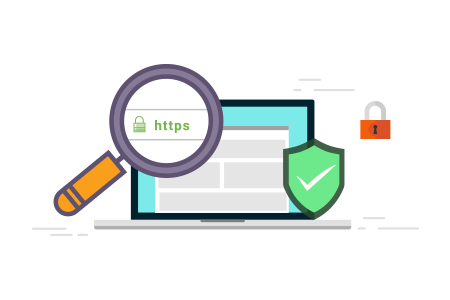 Furthermore, this web security software is available with improved website performance with the DDoS keeping threats at bay while simultaneously keeping your website information safe. Comodo Cwatch also helps your website to be PCI compliant which provides online merchants more credibility as a safe place to carry out purchases. With its exceptional customer support services, you will be guided throughout the whole setup process along with a 24/7 support team. Malware Monitoring and Remediation: Identifies malware, provides the methods and tools to remove it, and prevents future malware attacks. cWatch Web stops threats even before they hit an organization’s network. Advanced security analytics engine capable of monitoring the growing number of threats all over the world is combined with real-time data from web traffic in order to provide early warnings and indicators that will help recognize and block delivery techniques, zero-day vulnerabilities, and new threats. This web security software will allow you to download compliance reports and then submit them to banks manually or automatically through the cWatch Web console. Web security is hence guaranteed when using Comodo cWatch as this website security software performs regular scans to rapidly detect and eliminate malware that could infect the website.